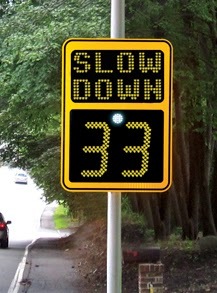 All of the SafePace speed signs offer optional data collection that allows you to keep track of when cars are driving, how they are driving, and when and where they are violating speed limits. Can this data help you make better decisions for your roads? How can you use the data from your radar signs to help you analyze driver behavior at different times of the day, week, or year? And most importantly, how can you use that data to make your roads safer and prevent accidents? Learn more about the SafePace software and why you should be collecting traffic data to help make your roads safer. Wow! There are way too many close calls and tragedies that could be prevented by drivers doing the right thing. Thanks for sharing your post! !